It’s hard to imagine that a typing device can be the most personalized piece of gear on your desk. But behind the guise of plainness lies endless possibilities. Nearly every facet of a keyboard can be customized to your liking with just a little bit of tenacity. 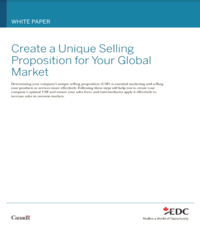 In this guide is a primer of the differences between the different switch types, as well as several recommendations for professional workers. The competence of any keyboard is founded upon its switches. There are two major categories to choose from: membrane and mechanical. Membrane switches rely on rubber domes that depress to complete the circuit on the PCB, while mechanical switches have metal contacts included inside the switch. It’s hard to overstate mechanical switch’ superiority over the membrane switch. The difference in responsiveness, longevity, and customization compared to a traditional membrane key switch is staggering. Because of its variety, choosing the mechanical switch is the first step into personalizing a keyboard. In addition, certain custom keyboards even allow the user to install different key switches on a single keyboard. The current king of mechanical keyboard switch is the German switch maker Cherry GmbH. 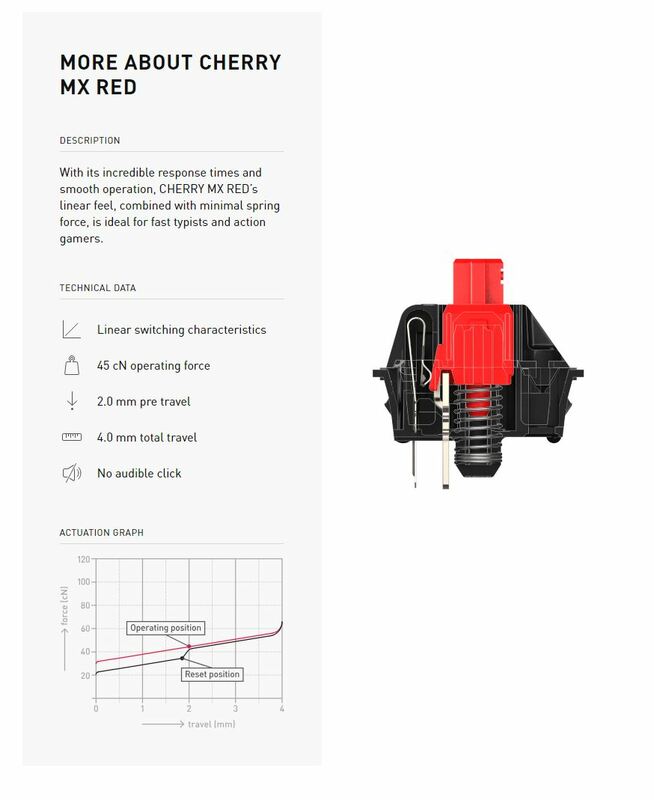 Its Cherry MX switch series was patented in 1980 and distributed in 1986. As a mechanical keyboards pioneer, Cherry set the practice of identifying switch behavior by stem (the pillar that attaches to the keycap) color, which many manufacturers use today. If you work in a quiet environment with others, it’s respectful to choose a silent switch. The most popular switches in this category are ones made by Cherry, a German switch manufacturer. They’re categorized by the color of their stems (the part that attaches to the keycaps), with the silent variants being the Cherry MX Red, Cherry MX Brown, and Cherry MX Silver. In a home office where you’re the ruler of your domain, go ahead and choose a loud clicky switch like the Cherry MX Blue. Mechanical key switches are normally reserved for high-end keyboards, which means that the keyboards have better construction as a whole. They often feature a metal cover and backplate, adding both weight and durability. Membrane (aka rubber dome) keyboards are found on the cheapest to the most expensive keyboards. Whereas mechanical keyboards are superior to rubber domes in many ways, some would still want rubber domes out of preference. Dismissing the rubber dome’s advantages would be sheer ignorance. Firstly, it’s quieter than even the silent mechanical switches, and secondly, the rubber dome provides a natural cushion when you press the keys to the bottom (called bottoming out). Just as there are different kinds of keyboard switches, Keycaps come in one of three popular shapes. Full height keycaps are the most common and are found on keyboards of all ranges. The top of these keycaps usually has a subtle cylindrical concavity to hug the typist’s fingertips. Low-profile keycaps are much shorter and have a flat top, but also feature a larger surface area to hit. 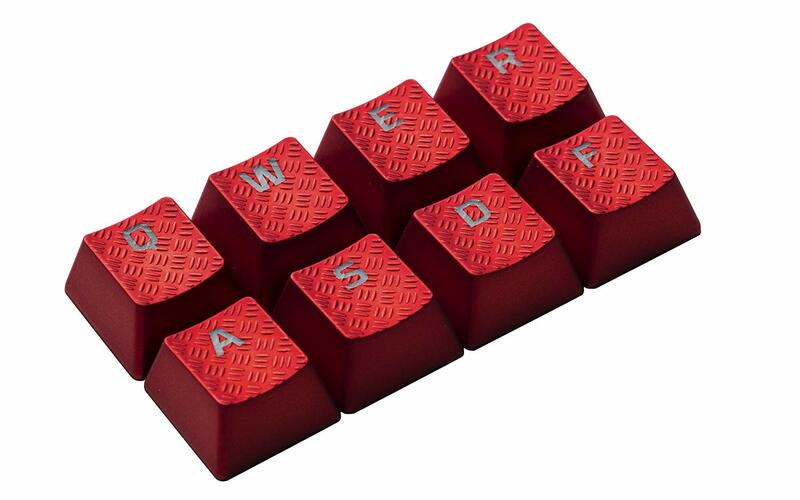 Then there are island keycaps, often referred to as Chiclet keycaps for their resemblance to Chiclet gum. These keycaps are the shortest and are mostly reserved for laptops and compact membrane keyboards. Keycap material is as diverse as the keycap’s physical shape. The type of plastic directly influences durability and the sound of the keystrokes. Cheap keycaps are usually made from ABS plastic, whereas higher-grade ones are made from harder PBT or POM plastic. Typing for hours on end can be exhausting and dangerous without good ergonomics. There’s a subset of keyboards from both mechanical and membrane playing field that are designed specifically to reduce fatigue. Typically, anything with a ramped center allows your hands to naturally externally rotate. Good examples are the Microsoft ergonomic keyboard and the Kinesis Freestyle Edge. The catch is that these keyboards can be costly and need perfect typing skills as it would be difficult to cross hands from one side to the other. If you can’t precisely control each half of the keyboard independently, then chances are you’ll be fighting an uphill battle with these keyboards. Do a quick search for mechanical keyboards on Amazon, and you’ll be greeted with a bunch of keyboards with a gaming focus. They carry features like flashy backlights, custom keycaps, and ornate designs. 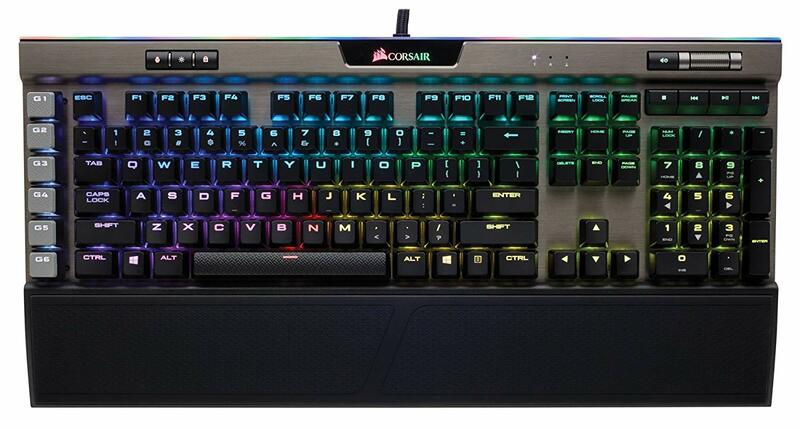 Corsair K95 Platinum keyboard. Notice the extra macro key column on the left edge. While they’re great for gamers as they simplify complex in-game commands, they aren’t all that important for professionals. At most, typists only need a decent wrist rest and a volume dial, with a simple backlight system being a nice extra. The only exception to this rule is macro keys, which are dedicated keys that execute multiple inputs with a single key press. For example, instead of pressing Ctrl and C for copy, simply tap on a single key to achieving the same function. Once upon a time, wired peripherals had lower latency and more stable connections. Today, wireless technology has advanced so much that its performance is nearly on par with wired. For business use, either would be adequate. On a cluttered desk, the last thing anyone needs is more unsightly cables, so a wireless keyboard makes more sense for an office. With that said, a wired alternative could save some cost. Due to their superior construction, mechanical keyboards can cost anywhere between two to five times the price of a midrange membrane keyboard. That’s the price you pay for the best of the best, however. Office workers, for one reason or another, may just want something basic to get them through a work day. In their cases, various OEM membrane keyboards can be found for under $20, and can even potentially cost less if purchased in bulk, making it the most cost-efficient option. It’s difficult to convey a good keyboard’s significance through texts and pictures alone. The points discussed in this article may seem trivial, but they all help in fine-tuning the typing experience and alleviate daily tediums. Below are some of the best keyboards for a professional typist. One thing about keyboards is that they’re timeless. Released almost 10 years ago, the Das Keyboard Professional 4 is still an outstanding keyboard for any keyboard enthusiasts. 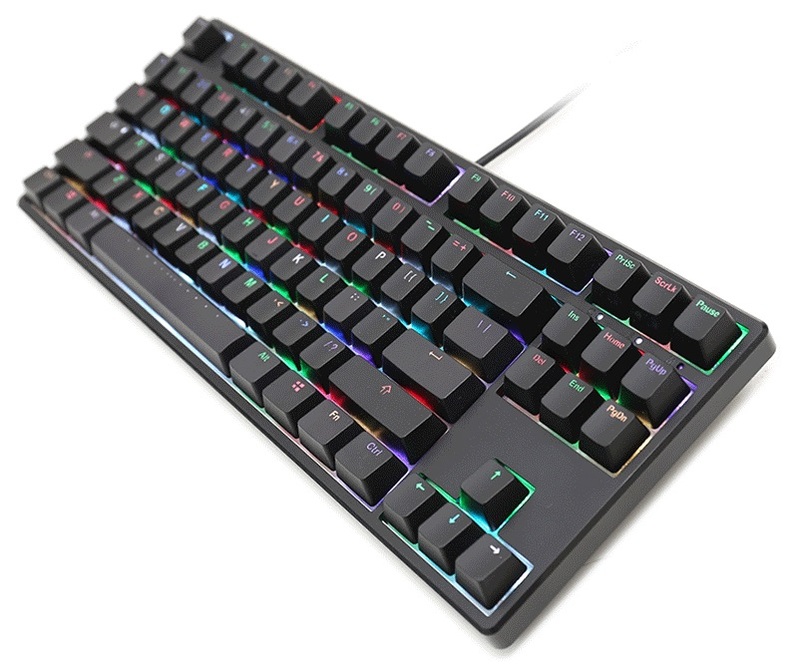 Equipped with either Cherry MX Blue or Cherry MX Brown mechanical switches, the Das Keyboard Professional 4 also comes with a USB passthrough for attaching peripherals, a large volume dial for adjusting media on the fly, and a metal front plate that’s both attractive and durable. At $213, it’s an ostentatious purchase, but this is a keyboard that will last you for years. Microsoft has been producing ergonomic keyboards for more than 10 years. 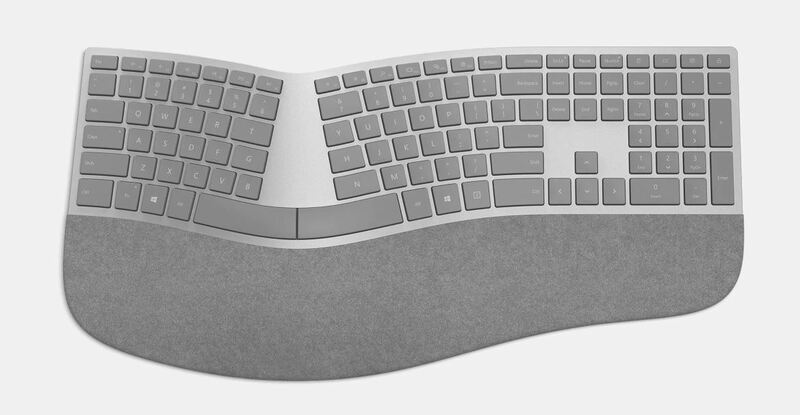 Its newest wireless ergonomic keyboard was announced alongside the original Surface Studio in 2016. With fantastic membrane switches, island keys, and a wavy shape that caters to the natural rotation of the wrists, this is one keyboard that won’t give you writing fatigue. 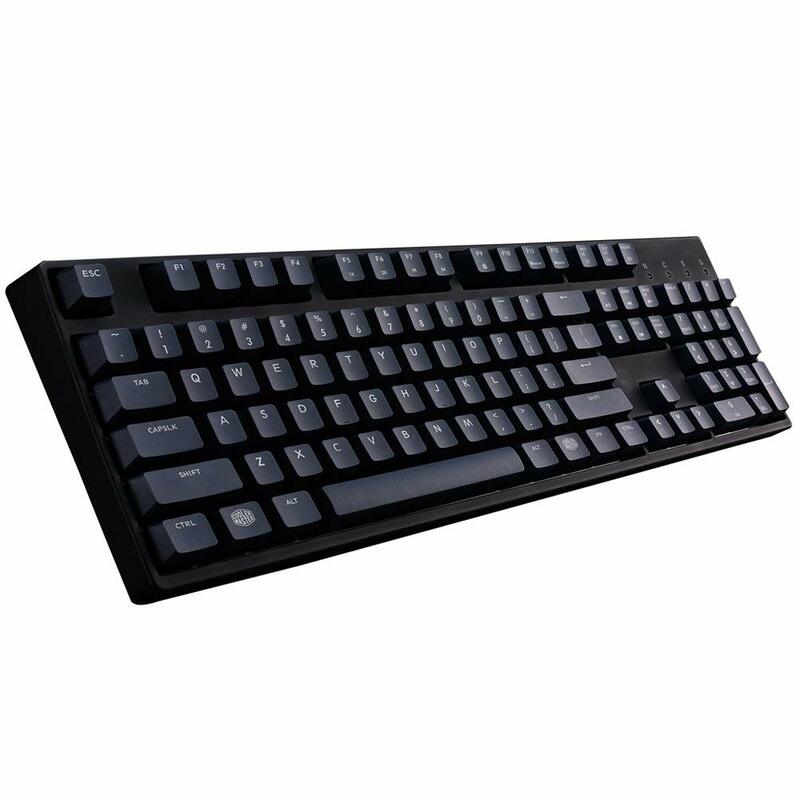 The CoolerMaster MasterKeys Pro L distinguishes itself with exceptionally durable PBT plastic keycaps. Not only is PBT harder than regular keycap plastic, but it also won’t turn yellow when exposed to UV light. In addition, the lower the pitch of keystrokes, which is important that it comes in the entire line of Cherry MX switches. Though its name may seem like total quackery, the Ducky Shine One 2 RGB TLK is a fantastic little keyboard. The TKL stands for Tenkeyless, meaning that it omits the number pad. The RGB indicates that its backlight shines in all the colors of the rainbow. In addition to its superlative build quality and mechanical switches, its cable can also detach for better portability. For users with cluttered desks, the tiny Ducky Shine One 2 RGB TKL is a godsend. No frills, no problem. The affordable Logitech MK270 is what an office need to get started. For $30, it includes a mouse too – pretty sweet deal.